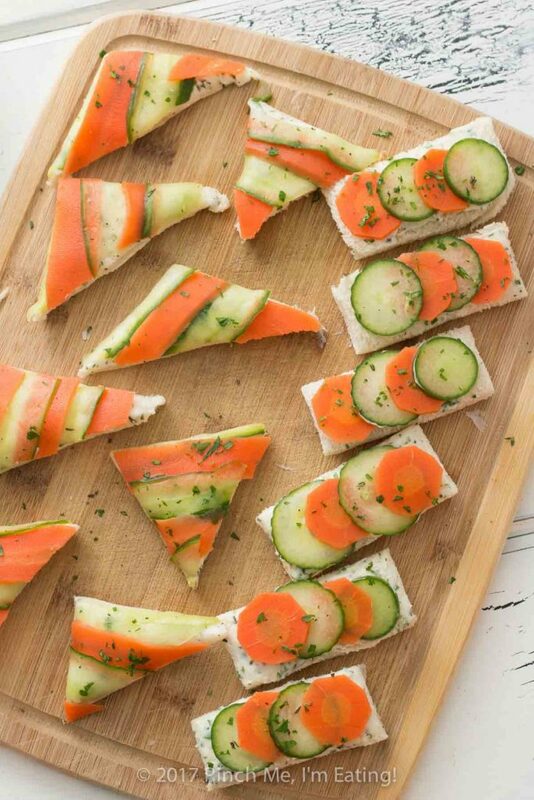 Tea for Tuesdays: Marinated Carrot and Cucumber Tea Sandwiches | Pinch me, I'm eating! 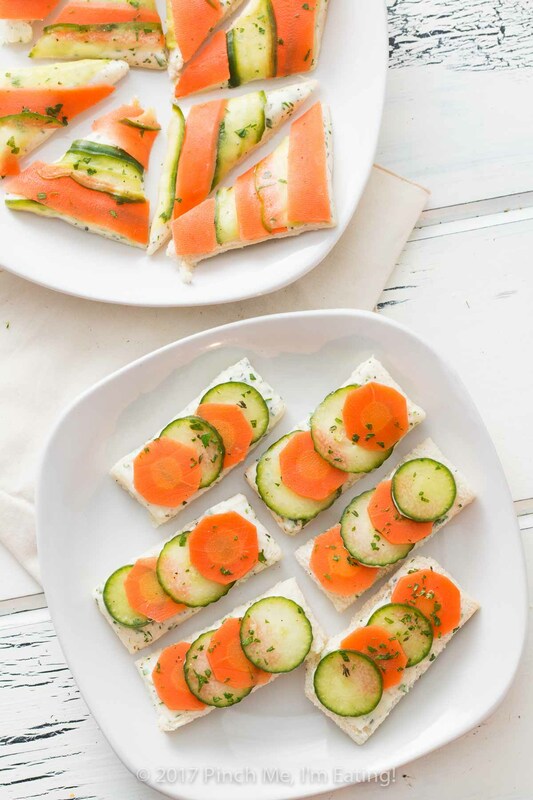 Open-faced marinated carrot and cucumber tea sandwiches with garlic herb butter are a beautiful and colorful twist on the quintessential finger sandwich! Visit the Afternoon Tea homepage here. This post was bound to happen! 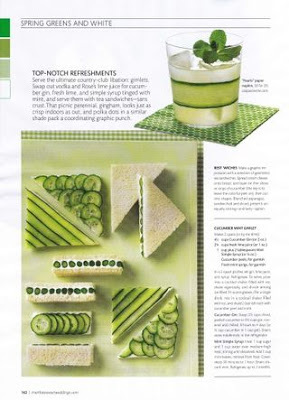 You just can’t have a series on afternoon tea foods without including cucumber tea sandwiches. They’re essential for tea time. 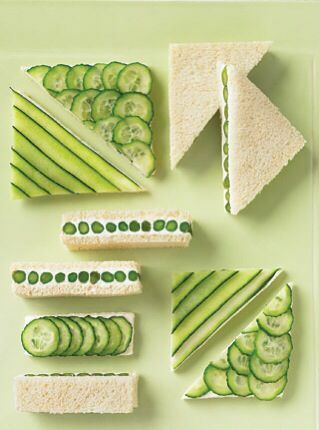 You might be thinking, wouldn’t it get boring having cucumber sandwiches for every tea you have? Wouldn’t you want to mix it up a bit? Thing is, you could probably make cucumber sandwiches a dozen times and never have them look the same. That’s the beauty of cucumbers – you can trim your bread in circles to match your cucumber slices, or peel off long strips with a vegetable peeler. 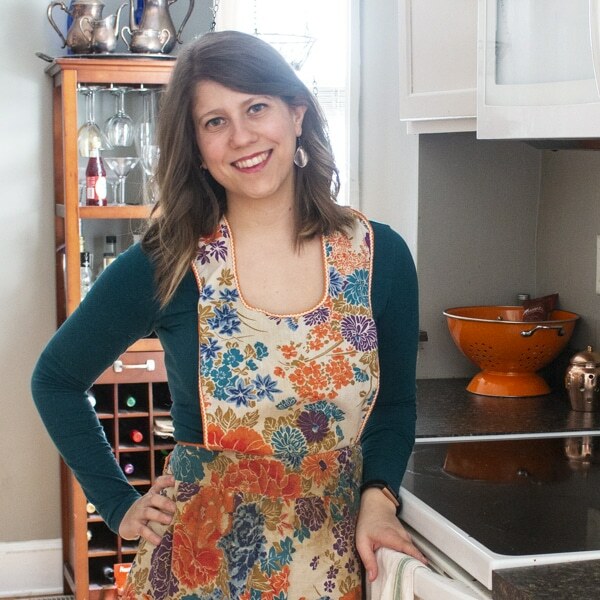 You can make a closed sandwich, an open-faced one, or even a double decker. For these sandwiches, I was inspired by this image on Pinterest. I had some trouble tracking down the origin of the actual image. All the links on Pinterest led to dead pages or pages that didn’t contain the actual image. But it appears to have come from a Martha Stewart wedding magazine. Regardless of the origin, I thought they were stunning and knew I had to recreate them! 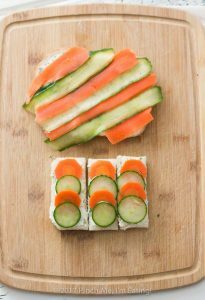 I also included lightly-blanched carrots on my sandwiches, which added another pop of color and texture. 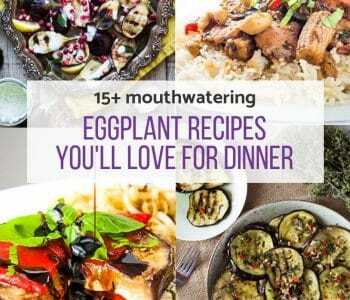 I think radishes would be great on these as well! The keys to good cucumber tea sandwiches are the bread, the spread, and the cucumbers themselves. The presentation is the cherry on top. You’ll need a fluffy white bread that’s a little denser than that stuff that deflates as soon as you poke it, but not one that’s super heavy and will compete with the lightness of the cucumbers. Square bread is best for these sandwiches. You’ll see why in the “presentation” section. I’ve also read that for tea sandwiches, it helps to freeze the bread before you begin so you can get clean cuts without squishing the bread. That’s on my list to try next time. Butter is a traditional spread for cucumber tea sandwiches. 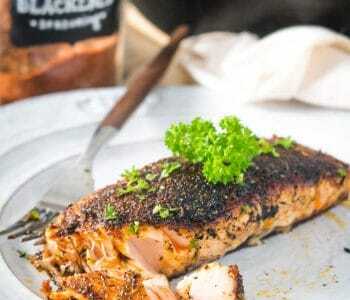 These are made with garlic herb butter, but you could also try using lemon chive cream cheese spread instead if you’d like to mix it up a bit. 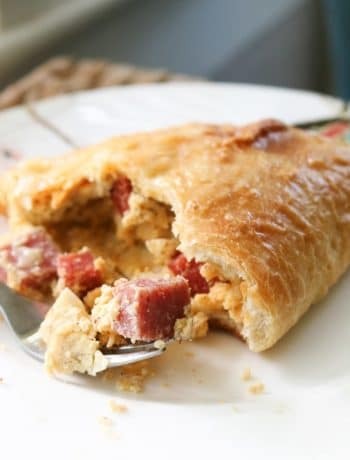 Regardless of what spread you use, the butter or cream cheese is not only tasty but functional as well – it serves as a barrier between the watery cucumbers and the bread to prevent the bread from getting soggy. So clever! You’ll want to butter the bread first before cutting off the crusts so it coats it fully edge-to-edge. 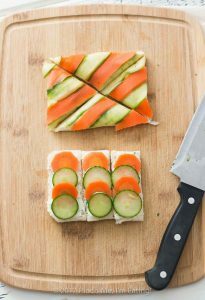 If you’re doing the striped sandwiches, wait until you’ve arranged the veggie strips before cutting the crusts off. English (or seedless) cucumbers are best for these so you can get nice clean circles or long thin slices without running into ugly, tough, and watery seeds. They cost a little more than the cheap cucumbers but it’s worth it when the cucumbers are the star of the show. I chose larger carrots so the circle slices would better match the size of the sliced cucumbers. 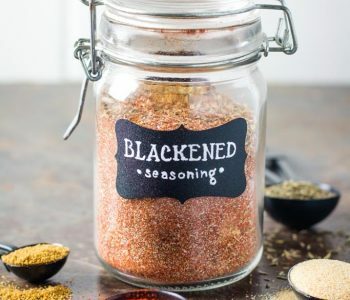 A quick blanch of 30 seconds to 1 minute after slicing them helped tenderize the carrots a little and make them flexible enough to absorb some of the vinegar while retaining their crunch. For a consistent thickness, I sliced both the cucumbers and the carrots thinly (but not paper-thin) with a mandoline to get the rounds, and a vegetable peeler for the strips. I left the peel on the cucumber for the aesthetics of the nice little dark green border, and also because the skin on an English cucumber is tender enough not to disrupt the sandwich. If you were using the cheaper cucumber, I’d recommend peeling them because the skin is thick and waxy. 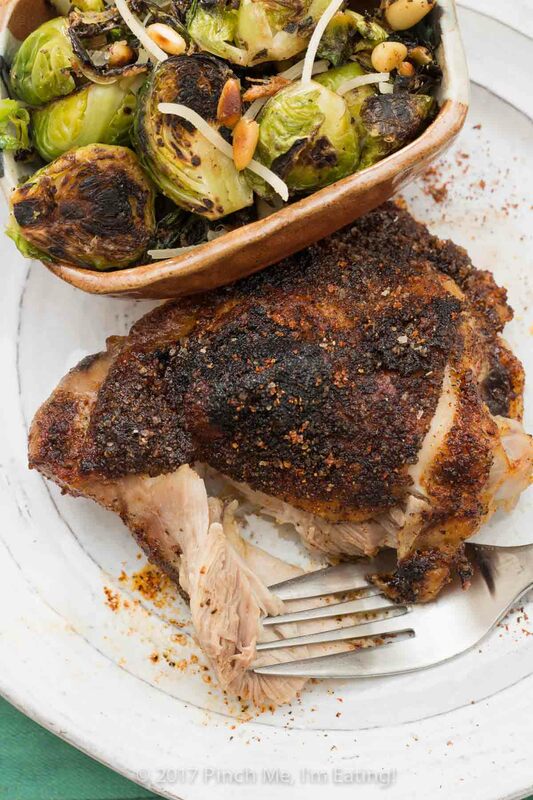 The first time I made these, my vegetables were bland, but quick dunk in some vinegar solved that problem! You don’t really want to over-marinate the cucumbers and make them soft, so a quick soak of no more than 5 minutes is plenty of time. 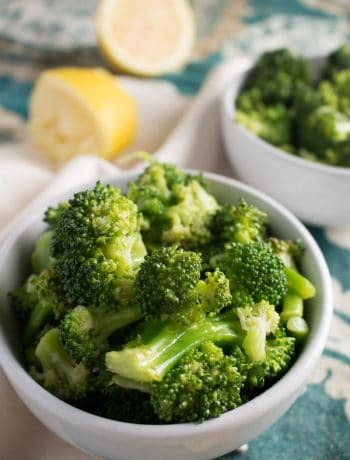 You could also use lemon juice for a milder flavor. I made both finger shapes (little rectangles) with alternating carrot and cucumber rounds, and triangles with alternating carrot and cucumber stripes. Both were garnished with some finely chopped parsley. Okay, so I ended up liking the little open-faced fingers better than the striped triangles. My triangles just didn’t look like Martha Stewart’s. But I figured it out. You are probably more perceptive than I, and this will come as no surprise to you since you saw the problem right away, so bear with me. For your striped triangles to look as good as Martha’s, you have to end up with isosceles (legs the same length) right triangles of equal size and shape. That means starting with a square piece of bread. My first mistake was using rectangular bread. It wouldn’t be too bad if I only cut into two triangles. They would be mirror images of each other, but at least they’d be the same size and shape. My second mistake was that I thought the halves were too big, so I cut them in quarters. That just exacerbated the issue. Since my bread was rectangular and not square, cutting it in quarters from corner to corner left me with some obtuse triangles (top and bottom) and some that were almost equilateral (left and right). First world problems, but still. And who says geometry isn’t useful in real life? Here’s an easy solution that will solve all your problems. Either start with square bread, or trim your rectangular bread into a square before you start. 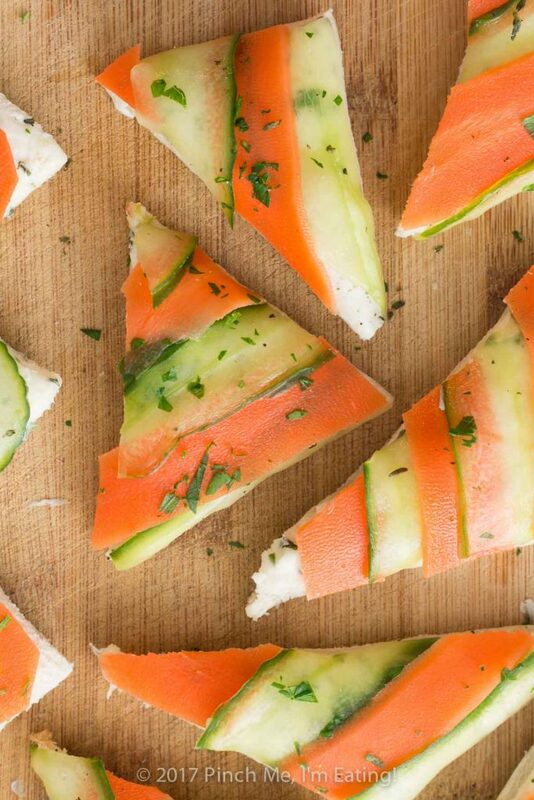 You’ll be able to get away with cutting into halves or quarters, because you’ll still end up with equally-sized isosceles right triangles, which will emphasize the beautiful symmetry of your veggie stripes. Okay, enough geometry for today. Make yo’self some sandwiches, and don’t forget the parsley garnish! And there you have it! 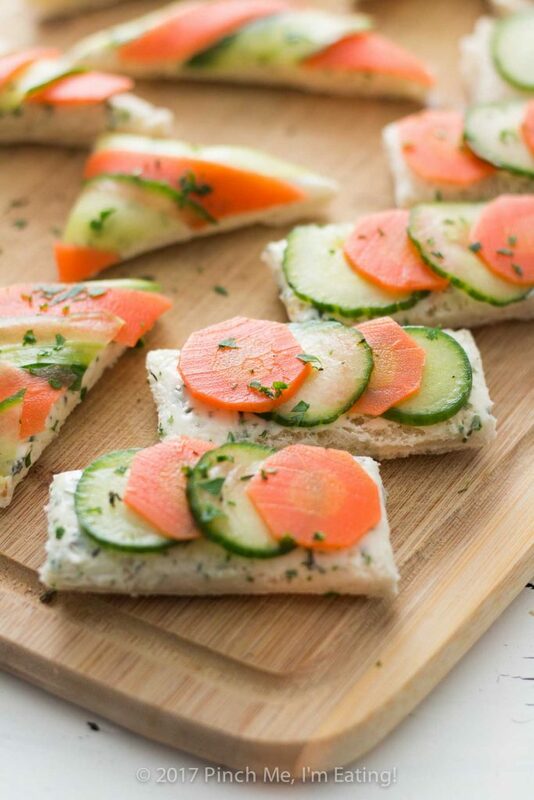 Some unique and beautiful open-faced carrot and cucumber tea sandwiches. They’re so light and refreshing, and I promise you’ll love them! 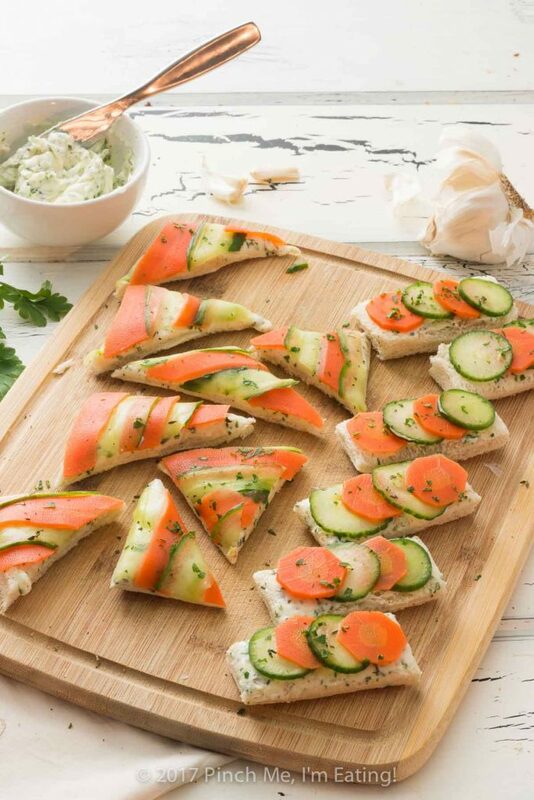 Open-faced marinated carrot and cucumber tea sandwiches with garlic herb butter are a beautiful and colorful twist on the quintessential finger sandwich! 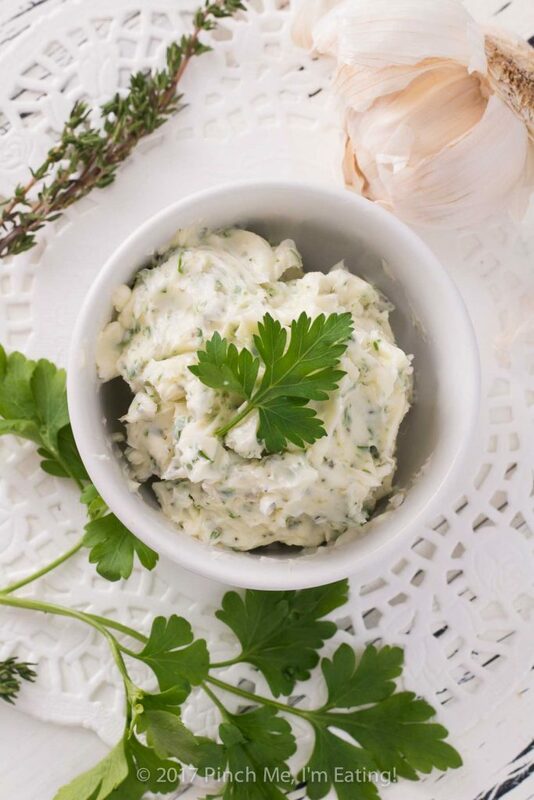 Set out garlic herb butter to fully soften, if it isn't already. 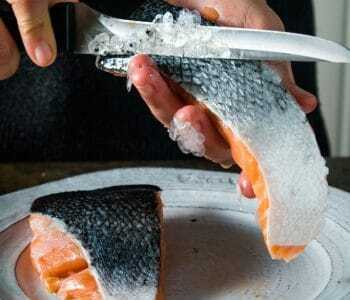 Putting your bread in the freezer while you prepare your other ingredients may help to get clean cuts. 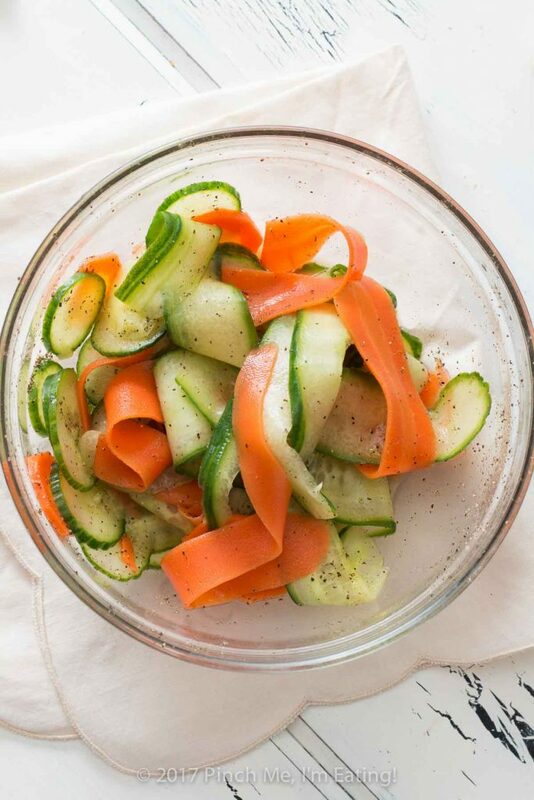 Slice cucumbers and carrots into thin rounds (using a mandoline) or long strips (using a vegetable peeler). Fill a medium bowl with ice and water. Bring a medium pot of water to a boil. 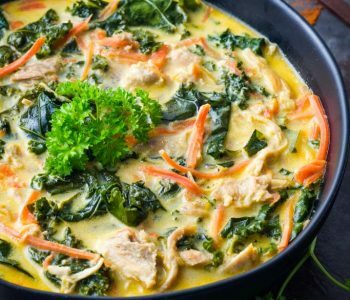 Add carrot slices and blanch 30 seconds to 1 minute. Remove carrots and plunge into the ice bath to stop them from cooking further. Remove carrots from ice bath once they're chilled, and pat them dry. Marinate the carrots and cucumbers in white wine vinegar, salt, and pepper for about 5 minutes. Drain, rinse, and thoroughly pat dry. 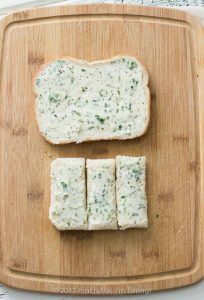 Spread the bread all the way to the edges with the fully-softened garlic herb butter. If making rectangular finger sandwiches with layered rounds, trim the crusts and cut bread into three rectangles (bottom). 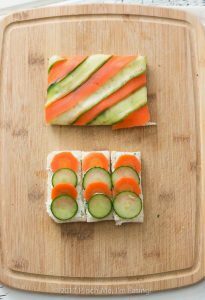 Layer bread diagonally with alternating strips of carrots and cucumbers, or arrange alternating veggie rounds on the rectangles. Trim the crusts off the veggie-striped bread. If making striped sandwiches, first trim it into a square (not pictured). Then cut in half or quarters from corner to corner.